This is the sixth in a series of articles prepared by the experts at Lee Enterprises Consulting (LEC) who will be speaking at the ABLC 2018 conference in Washington DC, February 28 to March 2. In 2007 the US government established a national strategy for the development of advanced biofuels made using non-edible biomass. After 10 years we are still short of achieving the targets of this plan but there has been considerable progress. Worldwide there is continued investment in both research and commercial development. The last half of 2017 saw significant activity with announcements of future plans and some setbacks. Challenges remain to be addressed by the biofuels industry and government policy makers that provide opportunities for further developments. In the US, the EPA approved sorghum oil as a feedstock to produce RIN credit eligible biodiesel opening a lower cost raw material source. Ryze Renewables received a USDA guaranteed loan for $112 million for a biorefinery in Storey County, Nevada. The new refinery is scheduled to open in the second quarter of 2019. Estimated capacity is 40 million gallons per year. Renewable energy company PPD of WV One, in partnership with Proton Power, expects to launch an $80 million plant early in 2018 in West Virginia. 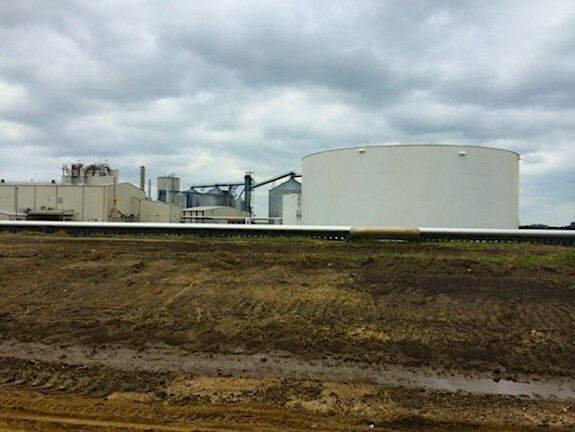 SynSel Energy, Inc. announced that they have secured up to $600M in construction funding to build two $300M biorefineries. In South America, Brazil’s Senate approved a bill on December 12 creating a national biofuels policy, RenovaBio, to increase the use of biofuels. There are several projects on the horizon to take advantage of these new incentives. New opportunities are emerging linking advanced biofuel production with other cleantech developments. There is growing interest in waste-to-energy projects that replace landfilling and incineration. The recycling of wastes is more appealing than converting purpose-grown agricultural products. Waste-to-energy projects provide greenhouse gas reductions while solving solid waste disposal problems. The economics of processes that use these wastes are rapidly improving due to high landfilling tipping fees. Many developers of advanced biofuels have pivoted to higher value products that take advantage of the unique properties of biomass derived materials. Processes that use fermentation to produce sugar-derived building blocks like succinic and adipic acid have been commercialized. Processes that produce traditional chemical building blocks like olefins and aromatics are also being developed. These products provide an economic incentive but leave behind low value biomass which are an opportunity feed for advanced biofuels. Processes that convert these by-products, as well as wastes from existing ethanol production, are a major opportunity. These include methods for monetarizing carbon in aqueous wastes and residual lignin removed from the biomass. There is a growing effort to develop new processes for convertingCO2 to methanol, dimethyl ether, polyurethanes or other chemical products. Approaches to this conversion range from a chemical conversion to microbial conversion technology. Several advances in the waste-to-fuel area have been recently reported. Canada’s Enerkem Inc., received U.S. EPA approval to collect RIN’s for cellulosic ethanol produced at its Edmonton, Alberta municipal solid waste conversion plant. Abengoa announced it was selected by Fulcrum BioEnergy to construct the first plant in the U.S. that will produce biofuels from municipal solid waste (MSW) using gasification technology. The plant will be located Nevada and will have the capacity to produce 10 million gallons of aviation fuel. Recently Japan’s SEKISUI CHEMICAL CO., LTD. and LanzaTech announced a joint breakthrough in the conversion of municipal solid waste to ethanol. Meridian Waste Solutions Inc. announced the award of a $3 million grant from the USDA to support the commercialization of lignin conversion and refining technologies. Government involvement continues to be critical for development of advanced biofuels. One of the main reasons for the slow progress in advanced biofuels is the uncertainty of future economic incentives. Support for biofuels is weak among the general public. The value of greenhouse gas reduction is not fully accepted or considered in economic policy. A standoff between biomass producers and regulation proponents preserved the U.S. renewable fuel standards (RFS) targets at current levels until 2019. However, there are no assurances beyond this time, particularly considering the US’s decreased reliance on imported oil. Countries with economies that are major importers of oil or have significant untapped biomass resources are much more motivated. India and Brazil announced significant increases in alternative fuel targets. There are also regions where governments are more concerned with greenhouse gas reduction: In November 2016, the EU established new mandates to reduce the cap on food and feed-based biofuels to 3.8% in 2030 and requiring them to blend 6.8% of advanced fuels by 2030. Strong mandates continue in California where the renewable quotas are now taking effect and in the Northeast where mandatory biodiesel additions to heating have been implemented. There are a number of inherent factors in developing new industries that can only be solved by staying the course over the long haul. Considerable time and costs are involved in getting new fuels registered and approved by both the government and equipment manufacturers. Complex processes in petroleum chemistry can require up to a decade to develop; can we expect advanced biofuels to be developed significantly faster? First-of-its-kind facilities shoulder all the initial engineering costs and should be overdesigned to decrease operational risks. Yet the realities of financing often force shortcuts and higher risks. Infrastructure and markets will develop as volumes increase. I believe continued effort and patience will be rewarded, and that 10 years from now, advanced biofuels will be viewed as a significant contributor to GHG reduction. About the Author: Dr. Lorenz Bauer, an independent consultant, is a member of Lee Enterprises Consulting, the world’s premier bioeconomy consulting group, with more than 100 consultants and experts worldwide who collaborate on interdisciplinary projects, including the types discussed in this article. The opinions expressed herein are those of the author and do not necessarily express the views of Lee Enterprises Consulting. Larry will be a guest speaker at the ABLC 2018 Conference commencing on February 28, 2018. The next article in this series is Natural Rubber – Viable Industrial BioEconomy Crop, It’s Going to Be Big by Dr. Katrina Cornish and Corinne Young.